I have longed to talk to You. Else the red one with the horns. Are You too busy in the day? Or caught in the rush? where a lip is yours, and another mine. for so long... so long. And untrue to what I know. 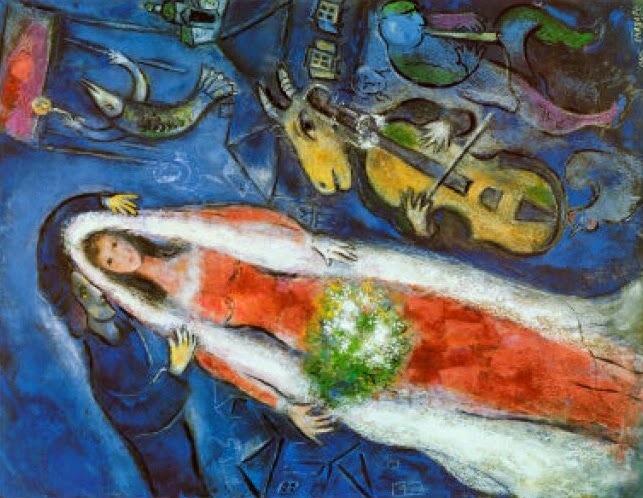 Image Credit: La Mariee or the bride, Marc Chagall , Modern Art, This painting is a symbol of something that has been lost.